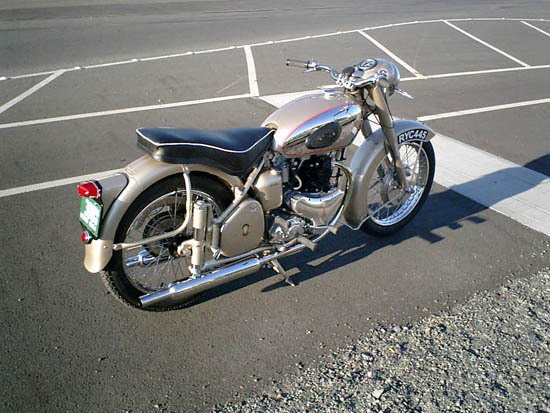 This is a chronicle of the adventure I had restoring my ’54 BSA A10 “Golden Flash.” This is largely an archive of the restoration–though if anything of note happens to “Fireball” I’ll try and note it here. History: This site used to be a “static” site with a “frame set” and other annoyances. I figured it would be a simple matter to grab a WP blog and throw the content in it, making it more usable at the same time. 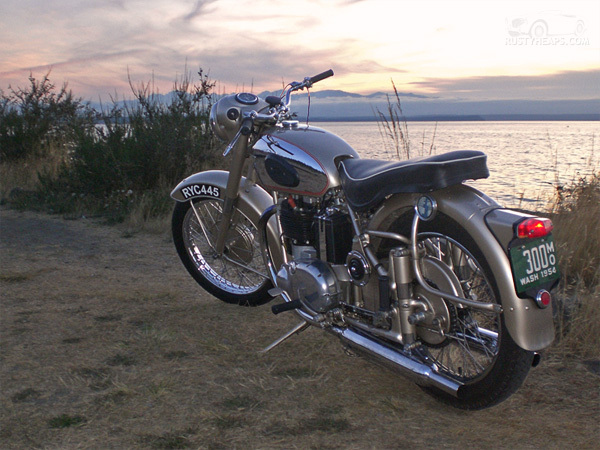 A recent shot taken at Maxwelton Beach near our place on Whidbey Island. 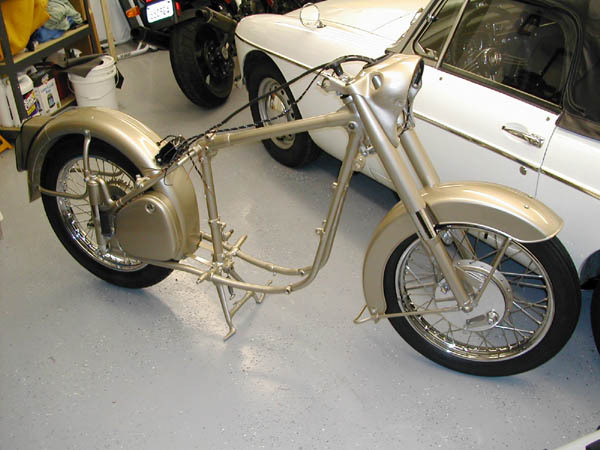 I have new fork seals in and the starting is sorted out, this is a one-or-two kick bike now, no matter its temperature. Fantastic. 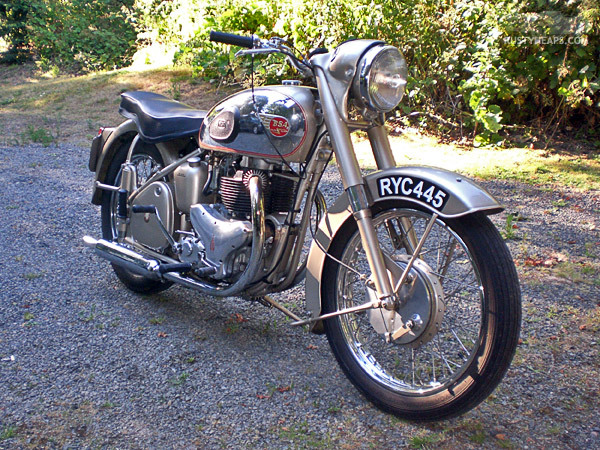 The bike after a few years in service. Need to redo the fork seals, which gave out after about 300 miles, and nearly all of the reproduction rubber has deteriorated depressingly quickly. 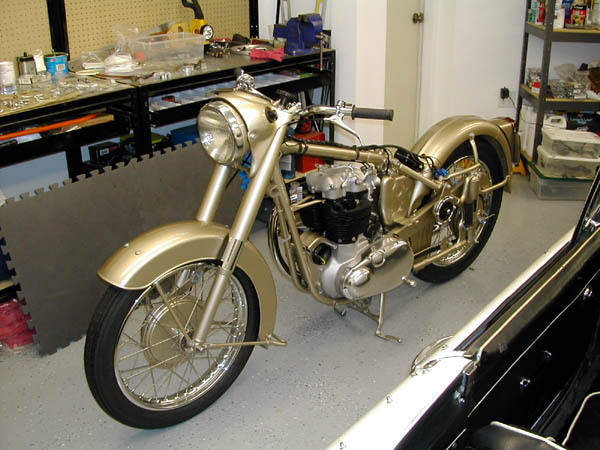 As with nearly all British twins, despite careful prep the engine started leaking copious amounts of oil almost immediately. A real shocker! Otherwise, it’s a nice bike to ride, and I’m finally getting it sorted out after some benign neglect as we’ve moved a lot over the past few years. 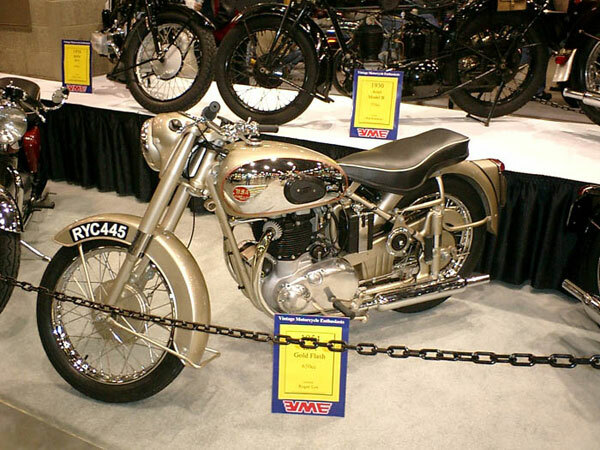 My bike was shown on the Vintage Motorcycle Enthusiast’s stand at the International Bike Show here in Seattle. Made me a proud papa, for sure. Some shots just after the bike was finished. The tally at the tail of the previous entry was pretty close to the final amount, minus one rebuild of a magneto. Just some new photos of the tank mounted. I do not recommend looking too closely at the pinstripes…what a chore. What have I been doing for the past nine months? 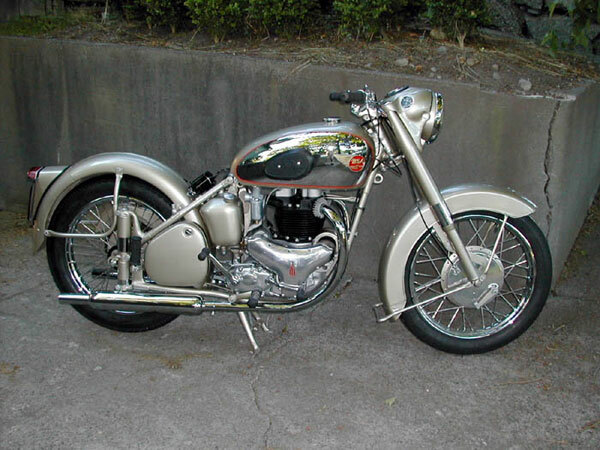 Not much on the BSA. But I finally have the engine back. 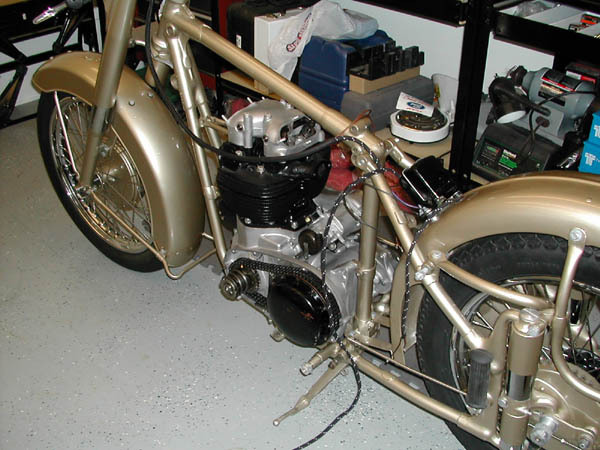 The rear wheel is on, and with that the darn thing is starting to look a bit like a motorcycle. There seems to be a big hole in the middle, though. 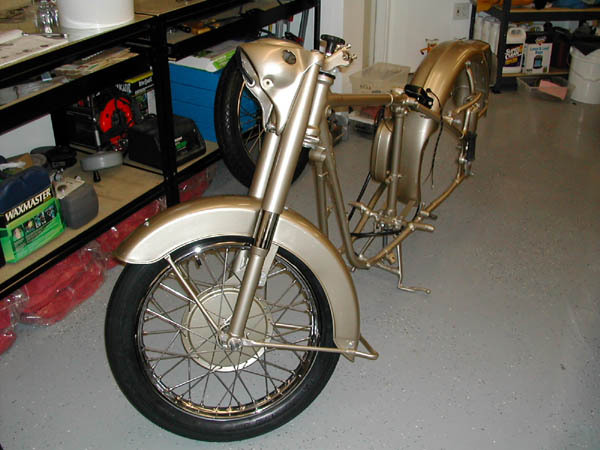 The tires arrived, the drums were turned, the brake shoes were relined, and the front wheel is now on. I put the tires on myself, and I pinched the tube in the rear wheel, so had to do it over, and at some point in that process, I scratched the chrome in several places on the rim, including one “chunk” which is gone. Simple carelessness. I doubt there is anything I can do about it at this point, except to try to disguise it somehow.